Smokeless tobacco, also known as chew, snuff, spit tobacco, plug, chewing tobacco, chaw, dip and other names, describes a variety of tobacco products that are not smoked by the consumer. Instead, this type of tobacco is usually placed in the mouth between the cheek or lower lip and the gums, where it mixes with saliva and releases juices that contain nicotine. The nicotine is then absorbed through the tissues in the mouth. Smokeless tobacco is sold in cans or pouches, as both leaf tobacco that is moist or as plugs or bricks. It can be dry or moist. 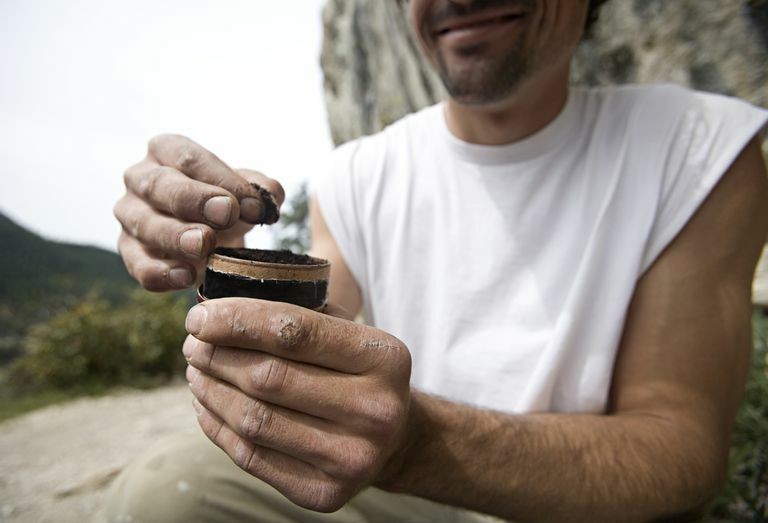 Dry smokeless tobacco is called snuff and is usually sold in a can. These products carry a number of health hazards for consumers. Smokeless tobacco is known to contain 28 carcinogens, including very high levels of tobacco-specific nitrosamines (TSNAs). TSNAs are known to be some of the most potent carcinogens present in chewing tobacco, snuff and tobacco smoke. People who use dip or chewing tobacco increase their risk of oral cancer by 50 percent as compared to those who do not use these products. This includes cancer of the lip, tongue, cheek, roof, and floor of the mouth, as well as cancer of the larynx. Smokeless tobacco users also face an increased risk of pancreatic cancer. Dip and chewing tobacco contain more nicotine than commercially manufactured cigarettes. A typical dose of nicotine in snuff is 3.6 milligrams (mg); in chewing tobacco, the amount of nicotine is closer to 4.5 mg. Compared to an average of 1 to 2 mg of nicotine in a commercially produced cigarette, the difference is significant. When used according to package directions, the nicotine in smokeless tobacco is easily absorbed through the lining of the mouth in quantities sufficient to cause addiction. While the results are inconclusive at this time, researchers are reviewing possible links between smokeless tobacco and heart disease, high blood pressure, the risk of stroke and diabetes. Smokeless tobacco is less deadly than cigarette smoking—there is no disputing that. With approximately 7000 chemical compounds in cigarette smoke, hundreds of which are known to be poisonous, and dozens that are carcinogenic, smoking is by far the most hazardous form of tobacco use on the planet today. That said, smokeless tobacco poses serious risks to the user that do not make this class of tobacco product a safe alternative to smoking. Cigarette smoking is part addiction to nicotine and part habit, born out of many years of associating smoking with every activity we have in our daily lives. Smokers who switch to smokeless tobacco are still addicted to nicotine and still link tobacco to the activities in their lives. Because of this, the risk of a smoking relapse is substantial. All tobacco products carry the risk of disease and addiction, and as such are not good choices as quit aids. Using harm reduction as a fix for smoking can also be disempowering. While a person might think of the switch as a proactive move to improve one's health, they are also telling themselves—usually on a subconscious level—that they are not strong enough to quit using tobacco altogether. And to make matters worse, this justification can become a pacifier, causing the user to put quitting tobacco on the back burner indefinitely. We all have what it takes to beat nicotine addiction successfully. With the right tools at hand to help us change our relationship with nicotine, freedom is within reach of every person who wants it. Nicotine replacement therapies (NRTs), which contain nicotine but none of the other hazardous chemicals present in tobacco products, are a better choice as a nicotine-based quit aid. Even so, NRTs are not without risk. Because these products, which include the nicotine patch, gum, nasal spray, inhaler and nicotine lozenges contain nicotine, they all carry the danger of addiction themselves. That doesn't mean one shouldn't use NRTs, but it does mean that package directions should be followed carefully and that ex-smokers wean themselves off of the products in the time recommended. Some forms of tobacco are more hazardous than others, but all tobacco products carry risks to the user that include addiction and potentially deadly health issues. We all deserve freedom from nicotine addiction. Imagine a life that is free of the need to use a drug multiple times a day, day-in and day-out. If you smoke or use any type of tobacco product, you can quit, and you do have what it takes to do it within you right now. Learn what you can expect when you quit smoking and how to minimize the discomforts associated with nicotine withdrawal. Use the quit smoking resources to help you tap into your own inner strength and resolve to quit smoking. The work it takes to claim your freedom is small indeed when compared to the benefits you'll enjoy, from improved health to the boost of confidence you'll get from overcoming nicotine addiction. Why Is It So Hard to Quit Smokeless Tobacco? American Cancer Society. Smokeless Tobacco and Cancer: Questions and Answers. National Cancer Institute. Smokeless (Spit) Tobacco Is a Significant Health Risk. The Government of Saskatchewan. Should I Use E-Cigarettes to Quit Smoking?